We don’t profess to be art critics here at The A.V. Club, but we do understand (vaguely) that $450.3 million is a lot of money. (A quick Google search suggests that it’s enough money to buy a first-season DVD set of the TV show Alf 52,914,218 and a half times over, in case that helps you put it into context.) 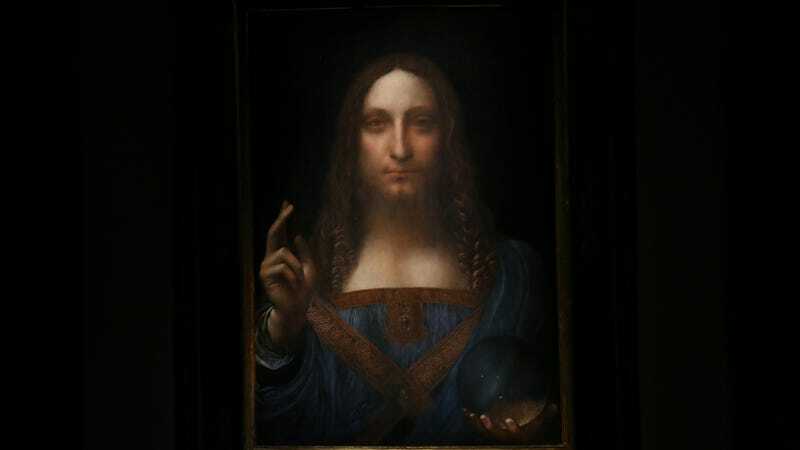 That hefty sum is also the price tag that’s now been attached to the new record-holder for the title of “world’s most expensive painting ever sold,” a long-lost Leonardo Da Vinci piece that’s attracted a massive amount of art world hype, even though it’s maybe not even very good. That’s not just our opinion, either—even though, looking at “Salvator Mundi,” we can’t help but note that it kind of looks like the end result of asking “What if Jesus had played in a ’90s Seattle grunge-rock band?” No, that withering assessment comes from an art critic editorial that recently ran in The New York Times, suggesting that the piece’s massive bill of sale had far more to do with its savvy marketing as “the last Da Vinci” not currently in a museum, rather than its artistic merits. Not, as Farago goes on to note, that it seems to have mattered to the people who flocked to see the piece during its recent display period, or the buyers who put up 52 million S1 Alf’s worth of their hard-earned money to own it. In the words of Todd Levin, a New York art adviser quoted by the NYT in its write-up of the sale today, “This was a thumping epic triumph of branding and desire over connoisseurship and reality.” Proving at least that, whatever the art world might lack in fiscal responsibility, its sick burn game is eternally on point.